Most ecommerce owners believe two things about Pinterest: that it is extremely difficult to see any real significant traffic and revenue, and that Pinterest is all about pretty pictures and fashion. While it is true that Pinterest is aesthetically focused, being that 80-90% of the users are women, it is also extremely content driven. In addition, when utilized correctly, Pinterest can drive over 500 visits per day to eCommerce stores. That number beats the average traffic from all other social sites. 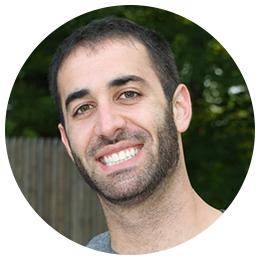 Nate Ginsburg, founder of Boards for Business has figured out the secrets to using Pinterest to drive that traffic to his and his clients’ sites. Through much trial and error, Nate has developed an incredible new system to teach his clients how to leverage Pinterest’s over 70 million users to benefit their business. Nate shares some incredible statistics, success stories and his tips to getting started with Pinterest. Don’t miss this episode! Nate’s first steps to utilizing Pinterest. What makes Pinterest so unique. How Pinterest drives more revenue per click than Facebook and Twitter. There are more active female users on Pinterest than Twitterin the US. How to determine if Pinterest can be used for your business. Nate’s average results from Pinterest utilization. Congratulations to Patrick Arnold of TieAficionado.com for winning this week’s eCommerceFuel shout out! You’re podcast is awesome, but just curious to know if you do proper research about the person you’re inviting for the talk.? I am asking this because I went through Nates website which teaches about Pinterest strategies and tactics but he doesn’t have a Pinterest account for his own business.